There’s not many parenting handbooks that advise to go and buy a box of tissues with your first box of nappies. Not for wiping away the tears when bub won’t sleep, but in preparation for the raft of heartstring-pulling commercials you’ll watch that are bound to make you sob. Ads that involve babies or children – that instantly make you reflect on your own family life – will make you cry. No doubt about it. 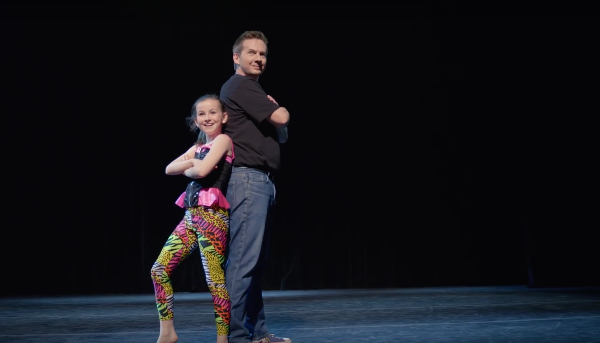 So when a dad and daughter surprise mum with a routine at a dance recital, the tears well up. The apparently unscripted advertisement for Quaker Canada really gets you the moment mum realises that dad has not missed his daughter’s performance after all. He’s up there with her. Both said that they would like to spend more time with each other. The Canadian family appear in the unscripted ad that does a great job of encouraging viewers to reassess their priorities. Quaker’s The Recital video has been watched more than 5.7 million times. The ad is one of many tear-jerkers aimed at striking an emotional chord with parents, but it’s the ones done well that will stay in the memory bank.